When the Stargate franchise makes its eventual return to the small screen, one big question will be where it should air. In a piece I wrote a year ago I ran down the options, from basic cable to premium, from MGM-operated outlets like Epix to online streaming services. There are pros and cons just about everywhere you look. But the calculation may be changing for at least one prominent outlet. I’ve been vocal here on the Web site and on the GateWorld Podcast that I see a 13-episode season of a new Stargate show on Netflix as the idea scenario for the franchise’s return. In 2019 Netflix has a lot going for it: deep pockets, a willingness to spend on genre programming, independence from weekly broadcast ratings, and an ability to distribute shows internationally on the same day. It also has a massive audience — today approaching 150 million global subscribers — allowing for the sort of broad exposure that a new Stargate show will need in order to catch fire and re-energize the larger fan base. 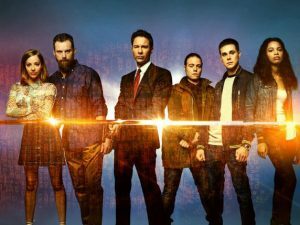 Netflix cancelled Brad Wright’s Travelers after three seasons — the first two of which were co-financed by Canada’s Showcase. Things may be changing in the streaming space, however. A shift toward short series — usually just two or three seasons of 10 episodes each — has been signaled by Netflix’s recent cancellation of a number of original series. Several of these fall into the sci-fi and fantasy space, and hit close to home for fans of Stargate. Take the Marvel universe, for example. 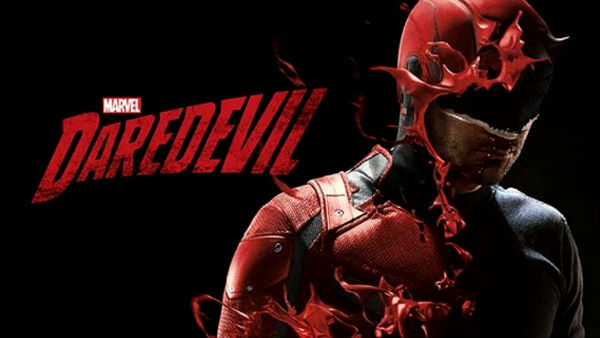 Fans were caught off guard last November when Netflix cancelled Daredevil, after just three seasons. That followed October’s axing of fellow Marvel series Luke Cage and Iron Fist (two seasons each). And it wasn’t much longer before Jessica Jones (three seasons, with one still to air) and The Punisher (two seasons) followed them to the grave. The streaming giant has cancelled dozens of shows across many genres — including, curiously, those with their viewership reportedly still rising. The latest casualty was One Day At A Time, the popular comedy reboot with a vocal fan base and no shortage of critical praise. 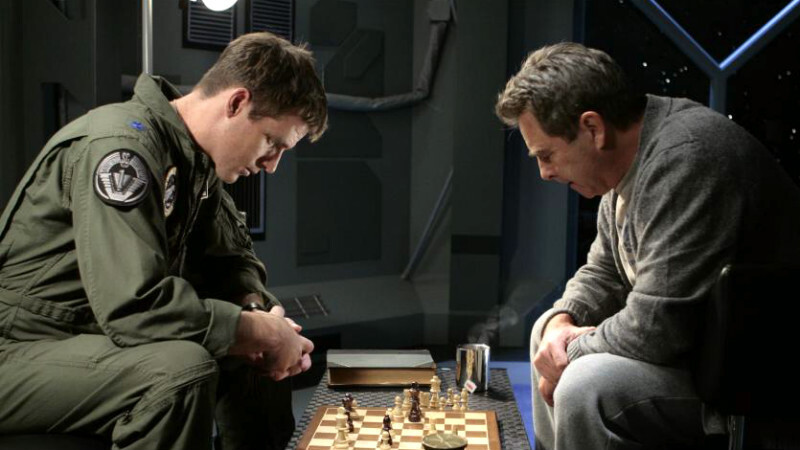 Closer to home for Stargate fans was Travelers, created by Stargate writer-producer Brad Wright. It was shut down in February, with a total of three seasons. The growing reality is that, if MGM sold a brand new Stargate show to Netflix, it might last only a few dozen episodes. That’s because the company’s subscription model seems to be inherently biased against long-running shows. Compare that to the old TV business model: studios such as MGM would generally sell a show to a broadcaster initially at a loss. Over the long-term they make back that money (and then some) by other means: international distribution, DVD sales, product licensing, and especially syndication deals. That’s a big part of why Stargate SG-1 was so successful for MGM: Showtime paid to help get it made, so that by the time the show was airing in syndication and in over 100 countries that revenue was pretty much all gravy. That older model, of course, requires either an upfront investment from the studio or a multi-partner production arrangement — or both. Shows need to reach a certain age (traditionally, the 100-episode threshold for strip syndication) before they really become profitable. Netflix has largely flipped this model on its head. The company pays out a premium to secure hot content from top talent, effectively guaranteeing that the studio making the show will see a profit from Day 1. The trade-off, though? Studios sign away much of the back-end, where they used to see long-term earnings. When Netflix decides they are done with a show, it’s over. No move to another network, no chance to extend the run by lowering the licensing fee charged to Netflix. As one source put it to Deadline: “They are proving that they are not in the back-end business.” That might not be the worst news in the world for the production studio, since it has already secured profitability in Netflix’s initial pay-out. But it is terrible for longevity, and therefore for a show’s fandom. Netflix does not report viewership numbers on its shows — and, because it doesn’t sell ads, ratings really don’t matter much. Instead the company makes its money from monthly subscriptions. Shows that find success on the platform are those that drive subscriptions, and they drive subscriptions in a third, fourth, or fifth season only when people are still talking about them. The exceptions to the three-season rule, as Deadline points out, tend to be Netflix’s marquee shows that garner the most awards attention: its first original and break-out hit, House of Cards, went six seasons. Orange is the New Black ends this year, at seven. And pop culture blockbuster Stranger Things is about to debut its third season, without any signs of slowing down (at least apart from the cast rapidly approaching adulthood). Those shows likely have been permitted to run longer because they keep creating buzz for the company. Shows that are up for awards each year continue to generate word-of-mouth, and that in turn translates into subscribers. Netflix isn’t dropping Marvel’s shows, then, because Disney is about to launch its own streaming service and wants the rights back. All the existing seasons will stay on Netflix. In fact, under their deal there is some exclusivity that prevents cancelled shows from jumping to another broadcaster — reportedly two to three years, on average. So Disney doesn’t have the option to shop Daredevil to another outlet, or save it for its own Disney+ service (at least not for a few years). 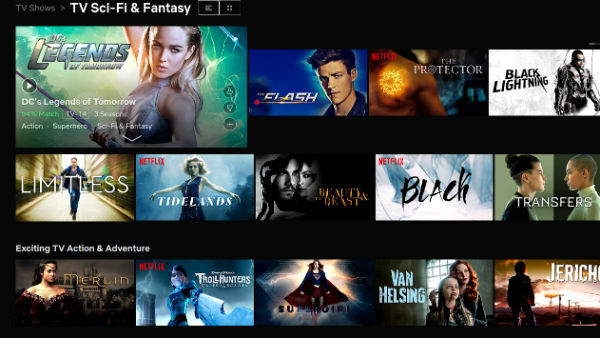 The reality of Netflix cancellations now comes into focus: the company appears to be dropping shows after two or three seasons because those titles have less value in attracting new, paying customers. It’s all about the splash, the big premiere that will garner attention and subscribers. Once a viewer has signed up to watch Travelers, Netflix is banking on the likelihood that they will stick around for the thousands of other pieces of content it has to offer. Yes, that viewer would also watch Travelers Season Four, Five, and Six … but that doesn’t really gain Netflix anything it does not already have. Because there are no advertisements delivered each time you watch one more episode, there isn’t much incentive to have a show run 80 or 100 episodes rather than, say, 30. Two or three seasons thus tends to be enough for Netflix’s purposes. Anything more is superfluous. That reduced running time also translates into a shortening of each individual season: 13 episodes don’t add much more value, if subscribers are happy with 10. And indeed, Netflix increasingly has been pushing its shows toward the 10-episode-per-season model. The irony is that shows used to live and die by the ratings, and Netflix inspired a great deal of fan confidence (and viewer good will) by taking ratings out of the equation. A show didn’t need to hit a per-episode viewership average in order to be judged a success. The metrics for online streaming are just different. But the reality is that the absence of ratings are proving to be something of a double-edged sword. As Daredevil and One Day At A Time fans will tell you, even a well-received show with numbers still on the up-tick can get the axe. So while bad ratings won’t get you cancelled, good ratings actually can’t save you either. 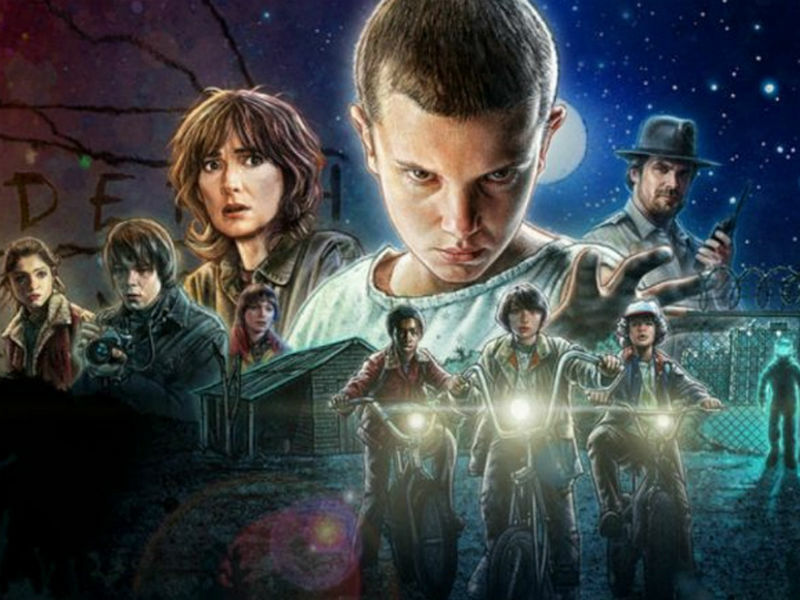 A 30-episode model suggests that, despite its heroic efforts to give a new home and new life to old favorites, Netflix isn’t actually built for fandoms. Fan bases for moderately successful shows are loyal and rabid for new content, and help drive that all-important word of mouth. But once the content churn has moved on, fan loyalty can be quickly factored out of the balance sheet. At 20 or 30 episodes, Netflix’s original programming starts to look less like traditional television and more like extended mini-series. But with renewal ever a possibility in the minds of producers and the crews that they employ, show writers still write for open-ended season finales. And so, unlike a mini-series, there is likely to be no satisfying end to any given story. The unresolved cliffhanger actually becomes more likely on Netflix, not less. That sort of predictability could be a creative gift — but it is not built into Netflix’s model. The company is not trying to create long-form mini-series, with a shared understanding with viewers that these stories are intended to be brief. And plenty of shows don’t make it even to a second season. Thus Netflix has combined the uncertainty of the old TV model with a motivation to produce just enough to satisfy an average viewer … and not an hour more. With the exception of breakout hits, it’s usually going to be better for the subscriber count to launch a new show than to keep an old show going. If the writers of a new Stargate show planned for this inevitability with a 30-episode storyline, the question becomes “What is next?” Does Stargate go back on the shelf for another decade? Does MGM try to sell another short-form Stargate show to Netflix … where it must convince the company that more people who didn’t sign up for the first show will now sign up for the second? With all of this in mind, it’s tough to see a long-term franchise like Stargate, with a fan base that has been around for decades, really thriving on a platform like Netflix. It may be telling that, while Netflix has rights to some of our favorite shows, it isn’t the original home of any long-running franchises. Trek lives on CBS All Access (and is distributed on Netflix only outside the U.S.). Star Wars: The Clone Wars was rescued by Netflix with just a one-season buy (and is on its way to Disney+). Even relative newcomer The Expanse lives elsewhere, with Amazon picking up the show for a fourth season after Syfy’s cancellation. 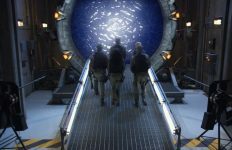 In deciding where to go with a new Stargate show, MGM will need to consider not just what sort of deal it needs in order to pay for the show but also how to ensure its long-term success. Stargate will continue to shine as a jewel in the studio’s crown because it is an ongoing franchise, with a loyal fan base. Will a 30-episode series be enough to support that fan base? FYI as of today 3/19/18 all the Trek series are still on Netflix in the US including the animated one. I know as I am currently re watching Enterrprise. 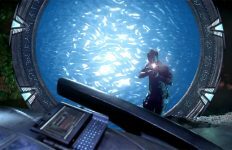 As for the new Stargate series after reading your article I think it would be better if they just streamed it on Stargate Command like they did Origins. I signed up for SC mainly to see the new show but I’m enjoying it for all the other series, movies and other features. I agree, seasons 9&10 were a slog to get through in the way that LOST was a slog to get through. Not quite bad enough to stop watching, but it wasn’t the highlight of the week anymore. How about we worry about finishing the unfinished series through reboots rather than start up a new one. Though you have to wonder if 30 episodes is enough make any production worthwhile…..
You mention several times the marvel shows on Netflix, but don’t discuss at all that the partnership between Disney and Netflix is ending. It is just as likely that Netflix didn’t see the point in continuing with shows that built a competitors brand. I think they should work something out with Hulu maybe? I mean the shows are on there anyway. Agreed, the streaming services need to be available worldwide to ensure the success of a (potential) new SG series and reach all the fans. I think the biggest downside of the SG franchise is that it doesn’t have the manpower Star Trek or Star Wars has, therefore it needs to be fully available in one go to be successful. Just please, please, I sincerely hope the show doesn’t sell its soul to NetFlix, this article clearly proves it will kill SG after a few seasons. Ironically this is why, after probably decades of being a Netflix subscriber (I started back when it was DVDs mailed to you) I hav decided to cancel my Netflix subscription. Specifically because Netflix shows no loyalty towards the fans of their shows. Amazon’s Season 4 of The Expanse is my next Stargate show (so to speak). I would love to see another MGM Stargate show (and/or the conclusion of Destiny), but The Expanse is solid entertainment and has super gates now. Put Stargate on a regular cable channel or, even better, public broadcast!!! I don’t have Netflix and I Don’t Want Netflix! Why should I have to buy even MORE services??? Surely Somebody would want to broadcast it on “regular” tv?!? Personally, I would have been willing to pay 20 dollars per year only to watch the interview series and Origins, but I couldn’t. So I have absolutely no remorse about getting Origins from torrent, because these days it’s unacceptable to geolock content on the internet, and release it months after the premier on other platforms. And I am sure that there are at least a few thousands of fans like me from all over the world. MGM just said no to a considerably big pile of money. NF is not the answer, unless they 100% own the show, they will cancel it. This seems like a show for Amazon, to me. Then again, MGM has been incredibly wasteful. They have no clue what they are doing. They have a successful IP in a world that craves IP. The fact that no new SG content, Im not counting that Origins crap, has hit is just complete negligence. It seems like the easiest solution would be for the show makers to stipulate that any show that is canceled without reaching 60 episodes can be taken, immediately, to another network along will all the previously aired episodes. It seems unlikely given that Netflix is footing the bill, but if enough of them made a stand, it could happen. It blows me away just how much the networks can careless about their fanbase. I hope that if MGM does choose to move forward with Netflix that they ensure that the show can run as long as the fans support it. Sum up SGU with a 2hr DVD. 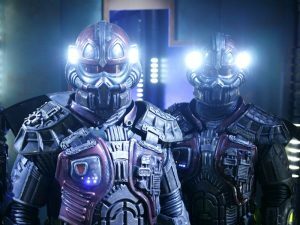 Somehow get SG-Atlantis back to the Pegasus Galaxy and begin SG1 10 years later with a new but badass team and bring The Nox back for a few episodes. Most humans tend to associate with relations & relationships. From a writer’s POV its easy. Creative writing, which is what SCI-FI needs/deserves. 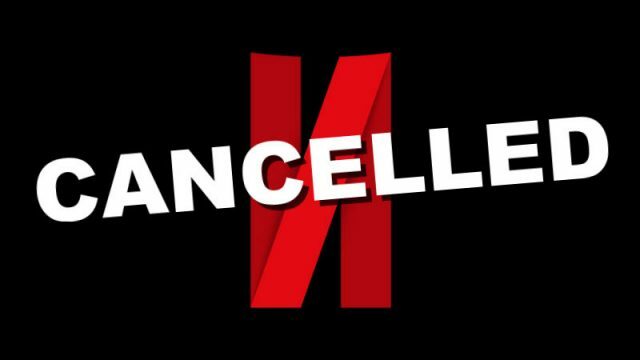 The reason the Marvel shows ended was due to Disney+ launching not because of fickleness on Netflix’s part. Netflix has a history of reviving long lived shows, and investing in several seasons of their own shows. The whole premise of this article is flimsy. But overall I will defer here to Deadline’s reporting, which is the basis for the present article. No it isn’t. In fact Disney wanted the shows to continue on Netflix. Netflix however wanted to cut costs and reduce them to only a handful of episodes which Disney did not want to do. He fails to mention the reason all those marvel series were canceled. Disney is coming out with their own streaming service. Netflix contract with Disney ends this year if not renewed which is highly doubtful. That’s y they cancelled any series they were running, which Disney owns. In fact Netflix had the rights to continue the series much longer, but wanted to reduce them to only a handful of episodes a season to cut costs and Disney felt that would be bad for the shows (and I agree). It was Netflix’s decision to end the shows, not Disney. Amazon prime would be better being it’s all streaming on the site including the fully combined origins Catherine. If they were to do that I personally would like to see it return to Syfy or at least cable TV so I would have something else to look forward to then binge the show. They also need to restart Atlantis and Universe oh hell even good ol SG 1 for that matter. IMHO, all the Marvel series on Netflix – except Jesssica Jones – were utterly dispensable. I think this sounds perfect for Stargate. I’ve always thought it had 2 more good seasons and a movie in it, which fits this model. The first 2 seasons can be used to wrap up SGU, find out what was at the end of the trail they were following, etc. Then a standalone movie that culminates in revealing the existence of the Stargate to the world. Otherwise just do a total reboot – like maybe another humanoid civilisation finding their own Stargate and exploring – maybe one day even encountering Earthlings. Thank you for explaining the financial technology that directs programming/broadcasting decisions. It illustrates why the Ferengi(a satire on unrestricted capitalism) were the least trusted race in the Stark Trek universe. Again thanks for representing the best interests of SG fans such as myself.